As soon as they arrived in Peru, the Peugeot Total crews took part in a final shakedown session on Thursday at the Autodromo de La Chuntana, south of the capital city, Lima. 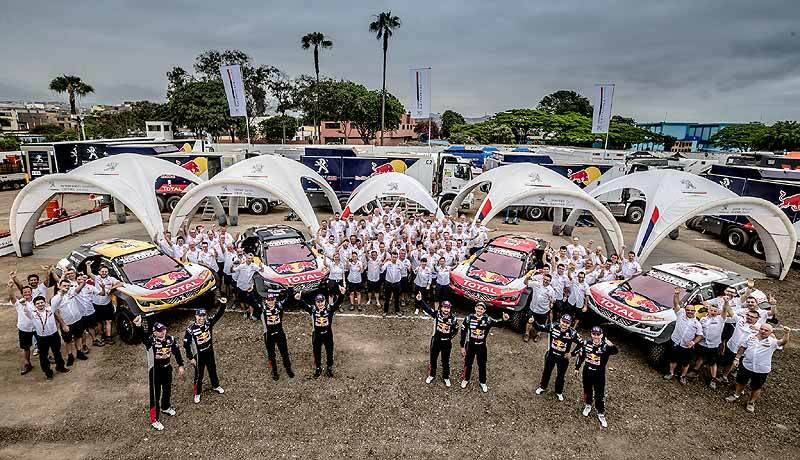 The four Peugeot 3008DKR Maxi cars all covered a few dozen kilometers to get the drivers back into the rhythm of competition and to ensure that the cars were all working properly after their long journey by air freight. Everything went without a hitch. 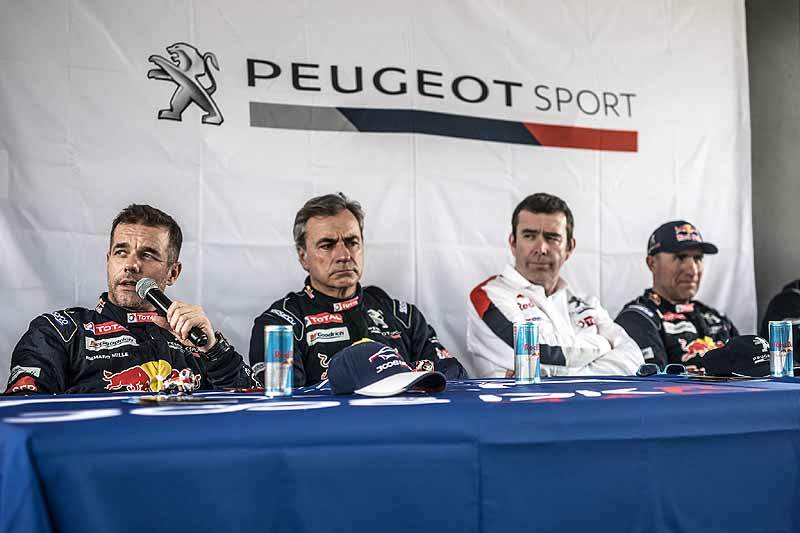 "I’m not at all certain that our team starts as the favourite on this Dakar, even though – as the current winners – our only target is victory" says Bruno Famin, Peugeot Sport Director. "The changes to the regulations have shifted the goal posts somewhat. First of all, there are some very different technical rules, although we obviously knew that before setting off and we accepted the challenge." "Secondly, there have been some more last-minute changes to the sporting rules, which now forbid the co-drivers to use maps: Even though maps are necessary for good navigation, and good navigation forms an integral part of rally raids. Banning them effectively impedes crews who get lost – which can sometimes happen, as there’s no such thing as the perfect road book – to find their way again within the sort of time that would keep them in the fight for overall victory. This throws another random factor into the scheme of things. And that doesn’t seem to us to correspond to the spirit of sportsmanship that should prevail on an event like this." Following a successful shakedown, each 3008DKR Maxi passed scrutineering smoothly on Friday before returning to parc fermé. The crews of Stéphane Peterhansel/Jean-Paul Cottret (n°300), Carlos Sainz/Lucas Cruz (n°303), Sébastien Loeb/Daniel Elena (n°306) and Cyril Despres/David Castera (n°308) also went through all the pre-rally administrative checks. As a result, the team is now completely ready. "The first few days of the rally are going to be extremely demanding," says Stephane Peterhansel, winner 2017. "The dunes are very varied in Peru, sometimes with some quite stable sand and at other times with much looser terrain. It’s often really tricky and I just hope that we stay out of more trouble than everyone else. I reckon it’s possible to pull out quite a good gap in Peru, but there are still many obstacles to overcome after then. In my opinion, this could be one of the best Dakars that has ever taken place in South America. In any case, we set off with plenty of confidence in a car that is very well-prepared, with which we have every possibility to perform strongly." Spaniard Carlos Sainz reported about the final preparation: "It was important to check that the set-up of the cars was exactly as we had established it. The team is very disciplined, and so I found a car that felt exactly the same as when I tested it last: This is very reassuring as we prepare for the start. Thanks to this Peugeot, I feel a bit more relaxed as we begin the rally this year. It’s now the ultimate evolution of what was already a very good car." 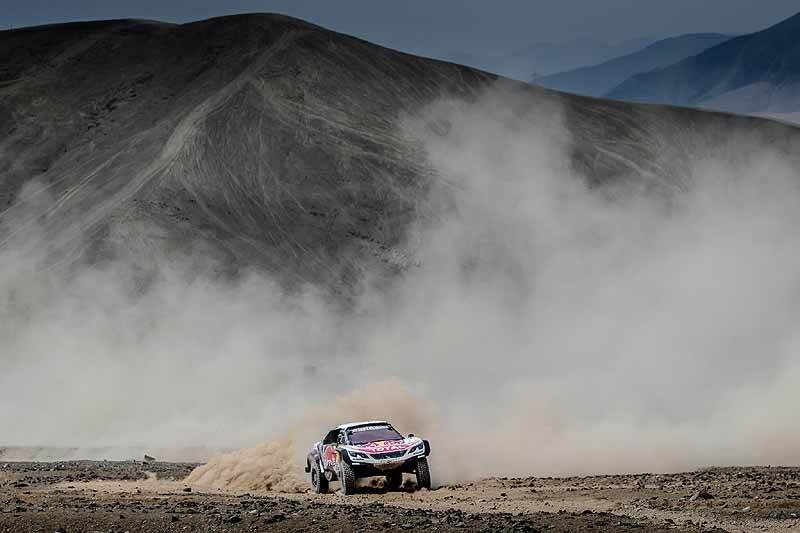 “It feels fantastic to be driving the 3008DKR Maxi again," said French Cyril Despres. "Before the shakedown, I hadn't driven it on gravel since the start of November. It was beginning to feel like a while ago! But on the shakedown, I felt at home immediately, enjoying a good feeling with the car and full confidence. I’m delighted that we’re starting from Peru. I’ve already taken part in two Dakars there and I won on each occasion: on motorbikes a few years ago. So why not go for the hat trick? Peru is a fantastic country. The first time we raced here, I had the impression of being back in the dunes of the Sahara Desert! It’s simply magnificent. The fact that this year’s route is much more of a rally-raid than a conventional rally is a good omen for myself and David." For Sébastien Loeb there were no particular surprises during the shakedown. "Everything went well and I’m just looking forward to getting going now. It’s hard to know exactly what to expect: we’re going to start the rally over the sort of terrain that isn’t ideally suited to me. Having said that, there’s no reason why we shouldn’t know how to get through it. Navigation will play a very important part. The fact that maps are now banned is a worry though. Sometimes, they’re useful so that you can just reset and start off again on a proper basis. It’s going to make life more complicated."